Rebelution has already established itself as one of the best-selling reggae bands on the planet, through a strong DIY mentality, relentless touring and a deep connection to their fan base via social media. 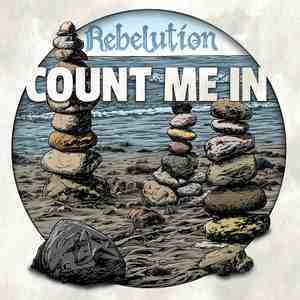 COUNT ME IN is the band's self-produced fourth studio album, recorded in Miami and Burbank, CA between September and December 2013. The album features guest appearances by dancehall star Collie Buddz and reggae legend Don Carlos. The band's last album, PEACE OF MIND (2012), debuted at #1 on the Billboard Reggae and Independent charts, as well as at #13 on the Billboard Top 200 Count Me In is pressed on 180 gram vinyl and includes an mp3 download.